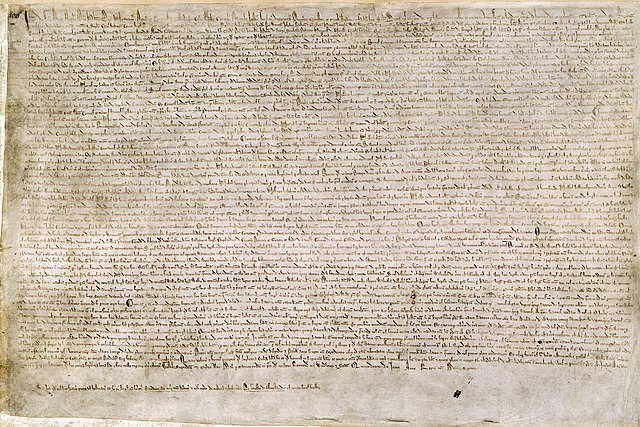 दिनांक One of four known surviving 1215 exemplars of Magna Carta. लेखक Original authors were the barons and King John of England. Uploaded by Earthsound. 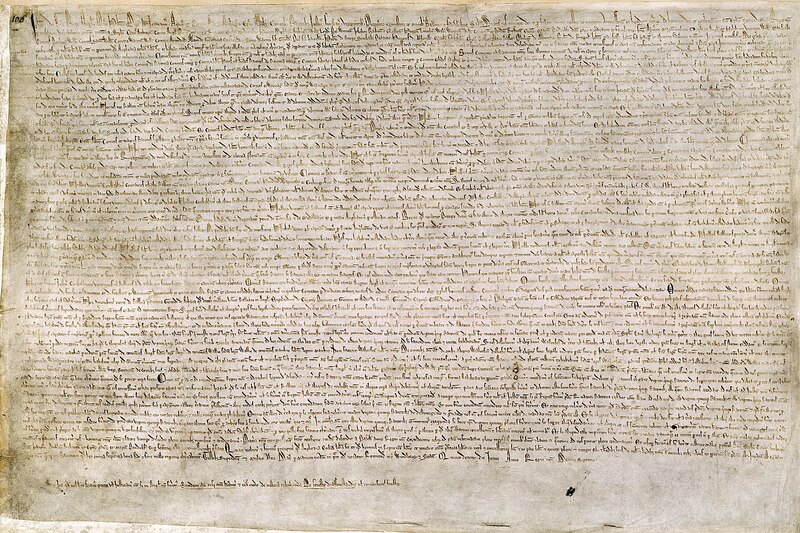 वर्तमान 07:30, 8 मार्च 2010 7,200 × 4,800 (5.97 MB) Earthsound higher resolution, and this is the original 1215 version of the Magna Carta, not the 1225 (as was originally uploaded) or the 1297 (the last version uploaded).